﻿ Sedona fountain pen kit in chrome. The Sedona Rollerball was designed for comfort, style and function with its classic Euro design and three striking facets on the nib. The Sedona Rollerball is extremely easy to make. Sedona fountain pen kit in chrome. 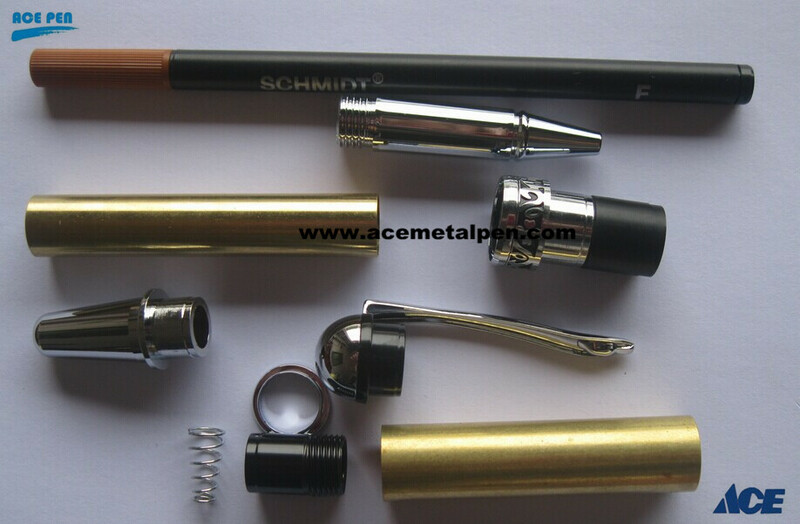 Round top screw cap and rounded end. Nibs are goldand platinum two-tone. 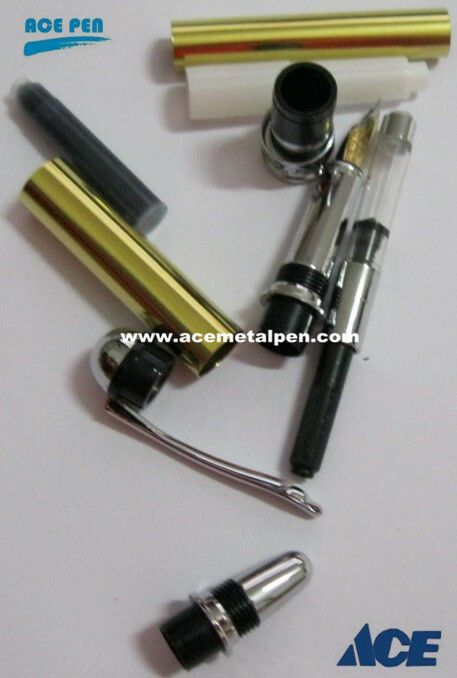 Medium nib, ink cartridge and ink pump included with each kit. Available in different finishes such as Chrome/Black Chrome, Black Titanium, Rhodium,Rose Gold, Satin Chrome,Silver and other finishes as demanded by you. Both Round Top and Smooth End top are available. 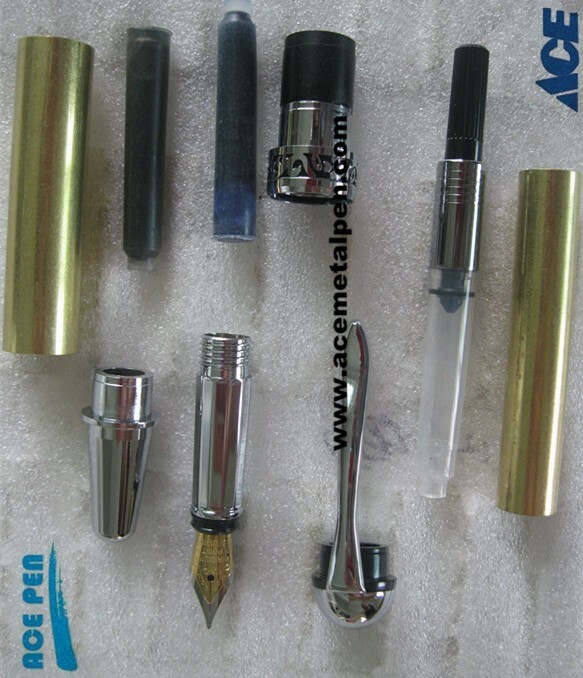 We can custom different pen parts and designs per your request. The designs for centerband also can be customized.